Teoman Gökçe, a top judge and a former member of the Turkish Council of Judges and Prosecutors (HSK), has passed away following a heart attack in prison, media reported Monday. Gökçe was a HSK member until he quitted in the summer of 2014 claiming that government appointments violated judicial independence. 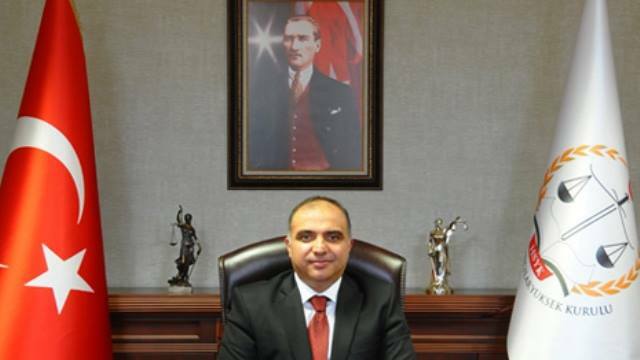 Dismissed from his job as a judge in the aftermath of the July 15, 2016 failed coup, Gökçe was subsequently jailed on charges of links to the Gulen movement. Under arrest since then, he suffered a heart attack in Sincan prison, Ankara and was taken to a hospital where he later died. A total of 28 individuals, among which are police officers, prosecutors and teachers, were found dead in Turkish prisons from the failed coup attempt on July 15,2016 to April 2017, causing serious concern about the fate of thousands of civilians who have been kept in jail in very poor conditions across the country.